Disclosure: I received this product for free from Smiley360 in exchange for my honest review. You can join Smiley360 here! Having a cold is no fun for the little ones in your life. Thanks to Children's Mucinex Multi-Symptom Cold your child can get back to feeling like their normal self again with this medicine that packs big relief in each dose! 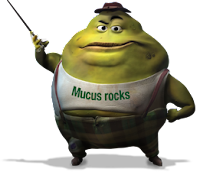 Children's Mucinex Multi-Symptom Cold helps relieve symptoms such as stuffy nose, cough, chest congestion, and help with breaking up mucus. This particular medication comes in Very Berry flavor. For complete drug facts, warnings, a dosing chart, and active ingredients, please visit the following link here. Click here for a $2.00 off coupon for Children's Mucinex Multi-Symptom Cold! Recently two of my girls came down with a nasty cold bug, complete with runny noses, coughs, and persistent mucus. 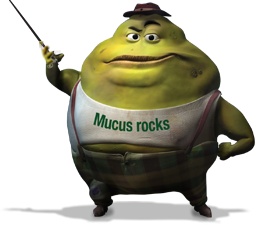 I was lucky to have received a sample of Children's Mucinex Multi-Symtom Cold a few weeks before this cold bug started. I had never tried any Mucinex products before, but quickly reached for the Children's Mucinex to put it to the test! Within twenty minutes of taking a dose both of my girls had quit coughing and no more runny noses! We did end up going to the pediatrician to make sure their colds were just a bug and nothing more serious. Thankfully everything turned out fine but I did mention that we were using the Children's Mucinex for the cold symptoms and their pediatrician said that was perfectly fine. I can't say enough good things about this product and I will never go back to my old brand of children's cold medicine again after my experience with this brand. I recommend taking advantage of the coupon posted above so you can keep a bottle on hand! Like Mucinex on Facebook here!